You might come to Napa Valley for the wine, but with this package, it’s easy to take your time and enjoy all the indulgences the region has to offer, including gourmet lunch aboard the elegant Wine Train. Explore some of the more than 500 wineries, visit quaint towns, dine at some of the finest restaurants, discover bustling Downtown Napa. 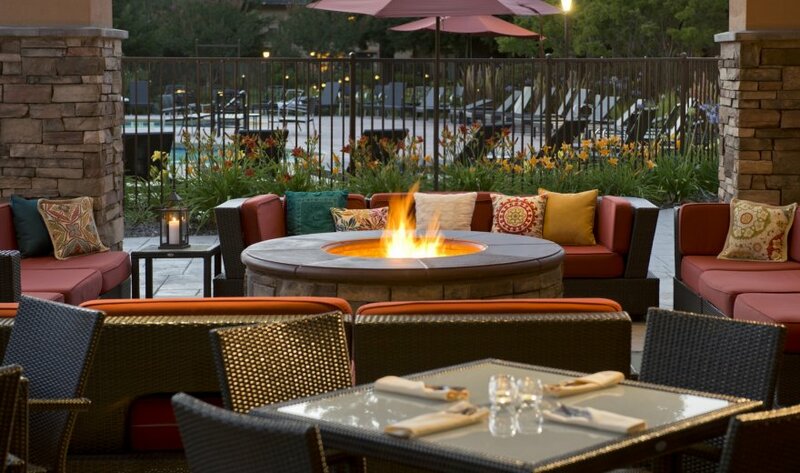 Or simply enjoy the sanctuary of the Napa Valley Marriott Hotel & Spa and all of its luxurious comforts. Check into the Napa Valley Marriott Hotel & Spa and then take advantage of the hotel’s incredible location just off of Highway 29 to explore the Napa Wine Country and other exciting local activities and attractions. Fulfill your passion for wine, world-class food, golf, and more. Their concierges will delight in revealing Napa’s hidden treasures and are experts when it comes to recommending California Wine Country experiences. Or stay put and enjoy a nature-inspired treatment at The Preserve, the hotel’s full-service spa, and VINeleven, their delicious garden-to-table restaurant. After a leisurely breakfast on Day Two, make your way to the Wine Train to check in and board for your gourmet lunch journey. Private label wine. Soup du Jour or fresh Baby Lettuce Salad. Your choice of gourmet entrées. And of course, coffee or tea and a decadent dessert. Savored at your leisure as you head through the spectacular landscape of Napa Valley. Experience the charm and beauty of California’s famous wine country from one of Napa Valley’s premier hotels. The Napa Valley Hotel and Spa features newly redesigned guest rooms inside and beautiful spaces outside: fresh outdoor garden area, a luxurious resort-style swimming pool, and refreshed courtyard with warmly lit fire pits and lush landscaping. The Napa Marriott is home to VINeleven, a delicious garden-to-table restaurant showcasing daily harvests of organic fruits, vegetables, and herbs from the hotel’s own Heirloom Culinary Garden. Executive Chef Brian Whitmer’s menu is inspired by the seasons and the garden, supports local artisans, and created with sustainably sourced ingredients. You’ll also find a full-service spa, a fitness center, and top-notch concierge services. A two-night minimum may apply. The package price may not be available on specific days, like holidays. The gratuity and hotel taxes are not included in the price of the package.